Elevated mortality and morbidity rates persist in pediatric patients with medulloblastoma. We present a clinical audit of a real-world cohort of patients in search for pragmatic measures to improve their management and outcome. 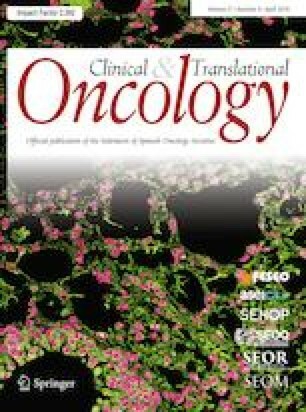 All pediatric patients with medulloblastoma treated between 2003 and 2016 at a Spanish reference center were reviewed. In the absence of internationally accepted quality indicators (QIs) for pediatric CNS tumors, diagnostic, therapeutic, survival, and time QIs were defined and assessed. Fifty-eight patients were included, 24% were younger children (< 3 years), 36% high risk (anaplastic, metastasis, or surgical residue > 1.5 cm2), and 40% standard risk. Five-year OS was 59.2% (95% CI 47–75); 5-year PFS 36.4% (95% CI 25–53). Five main areas of quality assurance were identified: diagnosis, global strategy, frontline treatment modalities, outcomes, and long-term and end-of-life care. A set of 34 QIs was developed and applied. Lack of central pathology review, delay in the incorporation of novel molecular markers, and absence of a neurocognitive and quality-of-life evaluation program were some of the audit findings. This real-world research study resulted in the development of a pragmatic set of QIs, aimed to improve clinical audits and quality of care given to children and adolescents with medulloblastoma. We hope that our findings will serve as a reference to further develop a quality assurance system with specific QIs for pediatric CNS tumors in the future and that this will ultimately improve the survival and quality of life of these patients. The online version of this article ( https://doi.org/10.1007/s12094-019-02101-2) contains supplementary material, which is available to authorized users. Teresa de Rojas’ work as a fellow at EORTC Headquarters was supported by a grant from Fonds Cancer (FOCA). All procedures performed in this study were in accordance with the ethical standards of the institutional research committee and with the 1964 Helsinki declaration and its later amendments and comparable ethical standards. Due to the retrospective nature of the study, formal consent was not required. Kowalczyk J, Samardakiewicz M, Kowalewska-Bajor M, Pomaska EA, Fitzgerald E ES. European Standards of Care for Children with Cancer. 2011. http://www.siope.eu/wp-content/uploads/2013/09/European_Standards_final_2011.pdf. Ubago Otero E, Carrillo Ridao C, Pérez Graña B. Unidades asistenciales del cáncer en la infancia y adolescencia. http://www.aspanoa.org/files/CancerInfantil_EyR.pdf. Accessed 6 Apr 2018. NICE-National Institute for Health and Care Excellence. Standards and Indicators. NICE; 2018. https://www.nice.org.uk/standards-and-indicators. Accessed 18 Apr 2018. NHS. The main components of clinical governance. 2018. https://www.uhb.nhs.uk/clinical-governance-components.htm. Accessed 18 Apr 2018. Peris Bonet R, Felipe García S, Valero Poveda S PRE. Cáncer infantil en España. Estadísticas 1980–2014. Registro Español de Tumores Infantiles (RETI-SEHOP). Valencia; 2015. http://www.uv.es/rnti/pdfs/INFORME_1980–2014.pdf.